Capt. 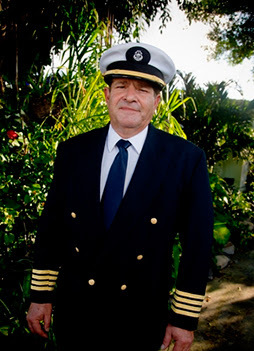 Gary Kulisek – New General Manager at Beqa Lagoon Fiji | Dive Industry Association, Inc.
WE ARE VERY EXCITED TO HAVE CAPT. KULISEK ONBOARD AND ADVANCING OUR RESORT TO THE HIGHEST LEVEL IN CUSTOMER SERVICE AND PROVIDING EACH GUEST WITH AN OUTSTANDING EXPERIENCE. Capt. Kulisek is a consummate dive and resort industry professional with many decades of international experience. He has been most fortunate to spend his life in both the alpine ski and dive industries/resorts.His work experience covers many years and spans the globe; Canada, U.S.A, Carib, Europe, Asia and currently the South Pacific. As a bonus he is fluent in several languages. Gary has owned and managed resorts and companies ranging from mega resorts to boutique hotels, as well as, and managed resorts and companies ranging from mega resorts to boutique hotels, as well as, dive live aboard vessels. Capt. Kulisek’s responsibilities ran the gamut ranging from boat captain and top level instructor all the way up to senior corporate management. His expertise has allowed him to support resorts in all areas of operations including day to day activities, human resources, management and of course guest services and dive operations. With Gary’s assistance, we will be enhancing our honeymoon and wedding programs, our family and kid’s activities, new sports /adventure programs, not to mention featuring the best and truly authentic Fijian cultural environment.